Seferian-Jenkins suffered two hernia tears during the first week of training camp in 2018, Daniel Popper of The Athletic reports. The Jaguars announced Monday that they won't exercise Seferian-Jenkins' contract option for 2019, Adam Caplan of SiriusXM Radio reports. Though Seferian-Jenkins, whose 2018 season was cut short due to a core-muscle injury, tweeted a message that suggested his time with the Jaguars was over, Tad Dickman, the team's director of public relations, said a decision on that front has not yet been made, NFL.com's Nick Shook reports. Analysis: With that in mind, the Jaguars have until Feb. 19 to make a call on Seferian-Jenkins' 2019 contract option. In five games with the team before being placed on IR in October, the tight end caught 11 passes for 90 yards and a TD. The 26-year-old joined Jacksonville as a free agent after logging 50 catches for 357 yards and three TDs in 13 games for the Jets in 2017. Seferian-Jenkins underwent surgery Tuesday to address the core-muscle injury that resulted in his placement on injured reserve, Daniel Popper of The Athletic reports. Seferian-Jenkins is scheduled for surgery on the core muscle injury that landed him on on injured reserve, ESPN.com's Michael DiRocco reports. 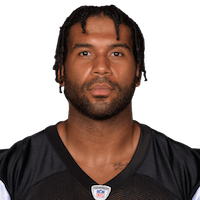 Seferian-Jenkins (core muscle) is being placed on injured reserve, but he may be able to rejoin the Jaguars later this season, John Oehser of the Jaguars' official site reports. Analysis: Seferian-Jenkins has been playing through a core muscle injury all season, forcing the Jaguars to reduce his snap share the past two weeks. It's unclear if he's scheduled for surgery or merely a prolonged period of rest, but either way he'll be ineligible to play for the next eight weeks. James O'Shaughnessy and Niles Paul will fill in at tight end, likely forming a timeshare after both played less than half the snaps in Sunday's 30-14 loss to the Chiefs. Seferian-Jenkins (core-muscle injury) was a full participant in Friday's practice. Analysis: The activity was enough for Seferian-Jenkins to avoid an injury tag heading into the weekend, so he should face no limitations in Sunday's game against the Chiefs. The Jaguars' starting tight end has seen consistent volume through the first four weeks, earning either four or five targets and notching two or three receptions in each contest. Seferian-Jenkins (core-muscle injury) practiced on a limited basis Thursday. 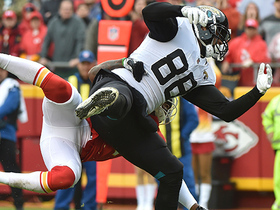 Analysis: Seferian-Jenkins has been a fixture on the Jaguars' injury reports all season with the core-muscle issue, but it's never seriously threatened his availability for game action. His return to the practice field in any capacity Thursday suggests he likely won't be in any jeopardy of missing Sunday's showdown with the Chiefs. Through the Jaguars' first four games of 2018, the tight end has hauled in 11 of 19 targets for 90 yards and a score. Seferian-Jenkins (abdomen) is expected to return to practice Thursday. Analysis: Seferian-Jenkins has frequently missed practice this season due to a core muscle issue, which was the case Wednesday as well. The injury has yet to force the tight end out of game action, though he did play a season-low 36 snaps Week 4 against the Jets. Those considering the fringe fantasy option should continue monitoring his status leading up to the Jaguars' Week 5 matchup in Kansas City. Seferian-Jenkins (core-muscle injury) isn't expected to practice Wednesday. Analysis: The same issue has resulted in Seferian-Jenkins' practice reps being restricted for each of the first four weeks of the season, but it hasn't prevented him from suiting up once game day arrived. With the Jaguars providing no indication that Seferian-Jenkins suffered any sort of setback during Sunday's win over the Jets, expect him to ultimately start at tight end and lead the position group in snaps Week 5 at Kansas City. 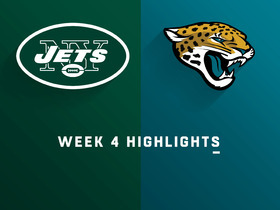 Seferian-Jenkins caught two of four targets for 24 yards in Sunday's 31-12 win over the Jets. Seferian-Jenkins (core muscle) is no longer listed on the Jaguars' Week 4 injury report. Analysis: Seferian-Jenkins has caught three passes in each of his first three games this season on 14 targets overall for a combined 66 yards and one TD. His modest counting numbers provide him with a degree of utility in deeper formats, but perhaps facing the team he played for last year (the Jets) will spark the tight end's Week 4 production. Seferian-Jenkins (core muscle) is in line to practice again Thursday, Michael DiRocco of ESPN.com reports. Analysis: Seferian-Jenkins was limited at Wednesday's practice with an injury he's reportedly been nursing since the start of the regular season, but the tight end has yet to miss a game and seems to be on track to play again Sunday. Look for Seferian-Jenkins' workload in practice to increase throughout the week. Seferian-Jenkins (core-muscle injury) was limited at Wednesday's practice. Analysis: Seferian-Jenkins was listed on the injury report with the same issue the past three weeks and has yet to miss a game. He's been oddly consistent in terms of workload, drawing exactly five targets each week while logging a snap share between 82 and 88 percent. That offers a nice baseline of what to expect from him in Sunday's game against the Jets. Seferian-Jenkins caught three of five targets for 18 yards in Sunday's 9-6 loss to the Titans. Analysis: Seferian-Jenkins has three catches and five targets in each of the first three games this season, but has only 66 yards to show for it. The 25-year-old is the clear top tight end for Jacksonville, but has seen limited downfield opportunities through Week 3. Seferian-Jenkins continues to be a touchdown-reliant fantasy option as the Jaguars match up against the Jets this week. Seferian-Jenkins (core muscle) did not draw an injury designation for Sunday's game against the Titans. Analysis: Seferian-Jenkins will be out there if you need him this weekend, but consecutive three-catch efforts for a combined 48 receiving yards through two games are indicative of the modest fantasy ceiling the tight end possesses when he's not doing damage in the end zone, which he did in the Week 2 win over the Patriots. Seferian-Jenkins (core muscle) returned to a limited practice Thursday, Jim Wyatt of the Titans' official site reports. Analysis: Seferian-Jenkins figures to suit up Sunday, but consecutive three-catch efforts for a combined 48 receiving yards through two games suggest a limited fantasy ceiling when the tight end is not catching TDs, as he did this past Sunday against the Patriots. Seferian-Jenkins (abdomen) is expected to practice Thursday, Tad Dickman of Jaguars PR reports. Analysis: Seferian-Jenkins sat out Wednesday's session, but it appears he will get in at least some action Thursday. Seferian-Jenkins' practice reps were limited each of the last two weeks and he still managed to play in both games, so there is reason to be optimistic that he will take the field again in Week 3. Seferian-Jenkins (core-muscle injury) will likely be listed as a non-participant in Wednesday's practice, John Oesher of the Jaguars' official site reports. Analysis: Seferian-Jenkins' absence probably isn't anything to worry about, as he missed practice time the past two weeks with the same issue before ultimately suiting up for both of the Jaguars' games. With no word that he suffered a setback in Sunday's 31-20 win over the Patriots, Seferian-Jenkins will most likely be ready to go for the Week 3 matchup with the Titans. Over the team's first two contests, the tight end has hauled in six of 10 targets for 48 yards and a score. 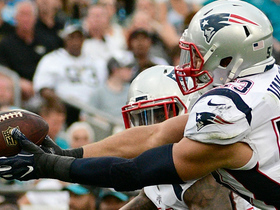 Seferian-Jenkins caught three of five targets for 23 yards and a touchdown in Sunday's 31-20 win over the Patriots. Seferian-Jenkins (core muscle) does not carry an injury designation for Sunday's game against the Patriots after practicing fully Friday. Analysis: Seferian-Jenkins will be out there if you need him Sunday, but after catching three of five targets for 25 yards Week 1, he remains a speculative fantasy play until he can establish a steady rapport with QB Blake Bortles. Seferian-Jenkins (core-muscle injury) was spotted at Friday's practice, Michael Giardi of NFL Network reports. Analysis: Seferian-Jenkins was limited at practice both Wednesday and Thursday, and it appears he will get in at least some work Friday as well. The Jaguars will reveal Seferian-Jenkins' status for Week 2 after the team's final practice session of the week comes to a close. Seferian-Jenkins (core-muscle injury) was a limited participant at Wednesday's practice. Analysis: Seferian-Jenkins dealt with the same issue last week and ended up playing 87 percent of the snaps on offense in the Jaguars' 20-15 win over the Giants on Sunday. He only caught three of five targets for 25 yards, but the playing time at least was encouraging. Seferian-Jenkins could get a few more chances Week 2 against the Patriots if Jacksonville is missing its offensive centerpiece, running back Leonard Fournette (hamstring). Seferian-Jenkins (core muscle) practiced fully Friday, John Oehser of the Jaguars' official site reports. Analysis: Seferian-Jenkins is thus slated to make his regular-season debut with the Jaguars on Sunday against the Giants. The 2014 second-rounder is coming off a 2017 season in which he logged a career-high 50 catches (on 74 targets) for 357 yards and three TDs in 13 games for the Jets. He heads into the coming season as Jacksonville's top tight end, a role that should provide the 25-year-old with a decent weekly fantasy floor, more so if he develops a strong red-zone rapport with QB Blake Bortles. The Jaguars listed Seferian-Jenkins (core-muscle injury) as a limited participant at Thursday's practice, Daniel Popper of The Athletic reports. Analysis: It amounts to a step forward for the tight end, who was withheld entirely from the Jaguars' first practice of the season a day earlier. Seferian-Jenkins will attempt to upgrade to a full session Friday, which would clear up most of the concern about his availability for the Jaguars' Week 1 matchup with the Giants. Seferian-Jenkins (core-muscle injury) is expected to practice Thursday, John Reid of The Florida Times-Union reports. Seferian-Jenkins is nursing a core-muscle injury and isn't expected to practice Wednesday, Michael DiRocco of ESPN.com reports. Analysis: Seferian-Jenkins dealt with an undisclosed issue early in the preseason but he was able to return to action for the Jaguars' dress-rehearsal game Aug. 25 against the Falcons, reeling in one of two targets for 14 yards in the contest. It's uncertain if the tight end's current injury is related to the earlier one, but it'll make his availability for the Week 1 matchup with the Giants somewhat of a question mark until he's able to get back on the practice field. Seferian-Jenkins caught one of two targets for 14 yards during Saturday's preseason game against the Falcons. Seferian-Jenkins (undisclosed) is practicing Monday, Mike Kaye of FirstCoastNews.com reports. Analysis: Seferian-Jenkins was held out of Saturday's preseason game against Minnesota, but no injury was ever reported. He's locked in as the Jaguars' No. 1 tight end, potentially occupying an every-down role in what figures to be a run-first offense. Seferian-Jenkins will not play in Saturday's exhibition game against the Vikings for undisclosed reasons. Analysis: Seferian-Jenkins has not had any injuries reported, so this could just be a case of the Jaguars giving him an opportunity to rest. He currently resides atop the depth chart at tight end and by all accounts projects to remain there come Week 1. The 25-year-old is entering his sixth year in the league and first season in Jacksonville. Look for Ben Koyack and Niles Paul to see a healthy workload Saturday in his absence. Seferian-Jenkins' new team, the Jaguars, released fellow tight end Marcedes Lewis on Tuesday. 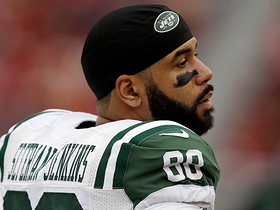 Seferian-Jenkins will sign with the Jaguars, Dianna Russini of ESPN reports. Seferian-Jenkins will take his first free-agent visit with the Seahawks, Ian Rapoport of NFL Network reports. Seferian-Jenkins is "highly unlikely" to return to the Jets in 2018, Rich Cimini of ESPN.com reports. Seferian-Jenkins finished the 2017 season with 50 catches on 74 targets for 357 yards and three touchdowns in 13 games. Seferian-Jenkins (ribs/foot) has been ruled out for Sunday's tilt against the Patriots. Analysis: Seferian-Jenkins' absence in the Jets' season finale comes as no surprise after he was originally listed as doubtful heading into the weekend. Eric Tomlinson figures to see a majority of the reps at tight end with Seferian-Jenkins sidelined. Seferian-Jenkins (ribs/foot) is listed as doubtful for Sunday's game at New England. Analysis: After missing every practice this week due to rib and foot injuries, Seferian will almost certainly be wearing street clothes Sunday. Expect Eric Tomlinson to handle the bulk of the Jets' tight end reps this weekend. Seferian-Jenkins (foot/rib) isn't participating in Thursday's practice, Rich Cimini of ESPN.com reports. Analysis: The tight end has opened Week 17 preparations with back-to-back absences in practice, making it uncertain if he'll be able to give it a go for the season finale against the Patriots. Seferian-Jenkins is averaging just three receptions and 23 yards over his last eight games and hasn't reached the end zone during that span, so his fantasy ceiling looks fairly limited even if he gains clearance to play Sunday. Seferian-Jenkins missed Wednesday's practice with foot and rib injuries, Connor Hughes of NJ.com reports. Analysis: Seferian-Jenkins hasn't missed a game since opening the year with a two-game suspension, but his fast start feels like a distant memory. He hasn't found the end zone since Week 7 and has caught just 11 passes for 69 yards the past five weeks. ASJ did record a career-best mark of eight receptions when the Jets and Patriots squared off back in Week 6. Seferian-Jenkins caught both of his targets for 13 yards during Sunday's loss to the Saints. Analysis: After scoring touchdowns in Weeks 5 to 7, Seferian-Jenkins has eclipsed 30 receiving yards just once, as the Jets' passing game has reverted back to the past few years of not utilizing the tight end much. With a home game against the Chargers coming up, Seferian-Jenkins is likely to spend much of his time on the line trying to slow down Joey Bosa. Seferian-Jenkins caught two of three targets for seven yards during Sunday's 38-31 win over the Chiefs. Seferian-Jenkins nabbed two of seven targets for 27 yards during Sunday's 35-27 loss to Carolina. Seferian-Jenkins brought in six of nine targets for 67 yards in Sunday's 15-10 loss to the Buccaneers. Analysis: ASF was held in check for a considerable portion of the contest, but he was able to put together a fourth-quarter surge that enabled him to post his best receiving yardage total of 2017. The fourth-year tight end has proven to be an ideal fit within the Jets' offensive scheme, and despite not getting into the end zone since Week 7, his 39 receptions are certainly keeping him relevant in PPR formats. He'll look to build in Sunday's effort against the Panthers in Week 12 following a Week 11 bye. Seferian-Jenkins was limited to two targets during Thursday's 34-21 loss to Buffalo, catching both for 20 yards. Analysis: The catches, targets, and yardage were all season lows for Seferian-Jenkins, who ran up against a hot Buffalo defense on a short week. Coming into Thursday, he was targeted at least four times in six consecutive games and is probably a safe bet to return to that level of usage against a less formidable Buccaneers outfit on Sunday. If anything, he might see more passes come his way with the suspension of slotman Jeremy Kerley. Kansas City Chiefs safety Armani Watts prevents a touchdown with a diving attempt at the ball. 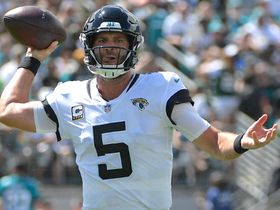 Jacksonville Jaguars quarterback Blake Bortles passes to tight end Austin Seferian-Jenkins for a 21-yard gain in Week 4. 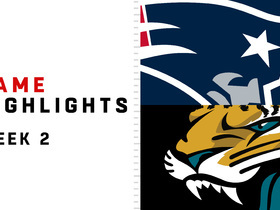 The Jacksonville Jaguars jumped all over the New England Patriots and got four touchdown passes from Blake Bortles in a 31-20 victory in Week 2 of 2018. 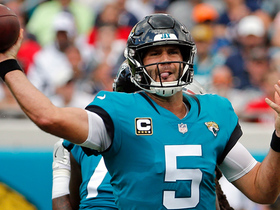 Jacksonville Jaguars quarterback Blake Bortles finds tight end Austin Seferian-Jenkins open in the corner of the end zone for a 4-yard touchdown. NFL Network's Maurice Jones-Drew and Charley Casserly debate where Austin Seferian-Jenkins stands among free agent tight ends now that Jimmy Graham is expected to sign with the Green Bay Packers. 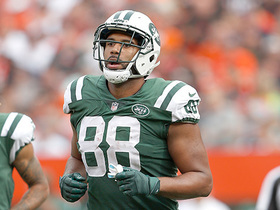 NFL Network Insider Ian Rapoport and Mike Garafolo have the latest on the future of New York Jets tight end Austin Seferian-Jenkins. 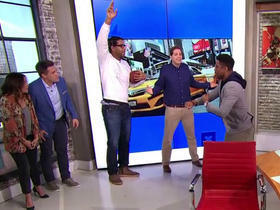 The "Good Morning Football" crew pitches a touchdown celebration to Jets tight end Austin Seferian-Jenkins. Jets tight end Austin Seferian-Jenkins talks about the controversial overturned catches from this season and shares his thoughts on what should happen with the rule.